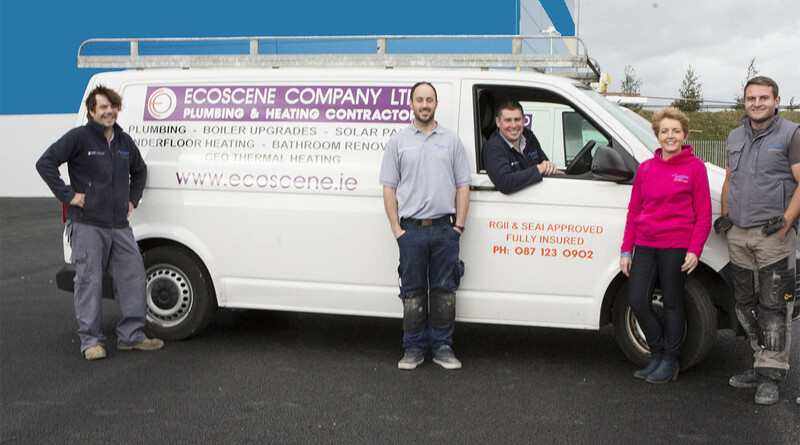 Ecoscene was established in 2006 by Barry Cunningham. As well as owning the company, Barry is also highly qualified in all aspects of plumbing and heating having obtained his plumbing qualification 25 years ago. Barry is available to consult with customers on existing heating systems and new installations. Ann is co- owner of Ecoscene and specialises in bathroom renovations. Ann’s role is project manager and she is involved in every aspect of the project from start to finish. Ann is available to call out and discuss your bathroom upgrade. She will be on hand to assist you with the design of your new bathroom, the choosing of the sanitary ware and the tiles. For the past three years, Lorraine has been the person in the office that you have all come to know. Lorraine manages the office, takes calls and helps you with appointments or invoicing queries. She also “attempts” to manage Barry’s diary – so she is the one to speak to! Lorraine will go out of her way to help with any questions and queries.